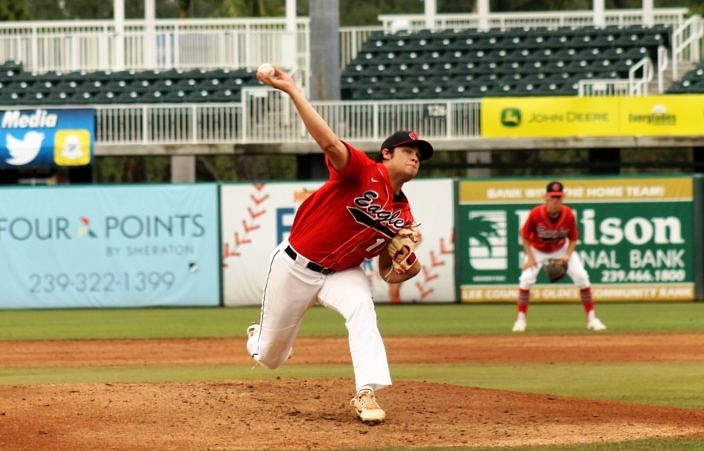 Major Posey delivers a pitch from the mound at Hammond Stadium in his start for the Eagles in the title game. North Florida Christian’s JD Tease breaks for second base after reaching on a fielder’s choice. Tease reached base three times in four plate appearances on Thursday. The Cougars extended their lead with a pair of runs in the fourth. Trennon reached on a fielder’s choice and both Cunningham and Vanderhof walked to load up the bases. Giovanni DiGiacomo then reached on an error that allowed two runners to cross the plate. Canterbury kept adding on with another run in the fifth. Cooper Weiss singled to left and advanced into scoring position thanks to a sacrifice bunt from Cervone, before crossing the plate after Will Cialone reached on an error. 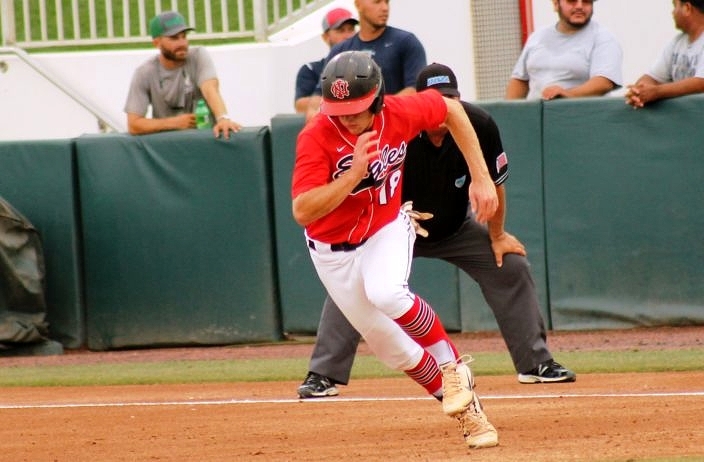 The Eagles return a solid nucleus of players around its 2019 senior class next season, including Walker and Major Posey to anchor the pitching staff. Having reached one of their goals in getting the program back to the state tournament this season, many of them will have the chance to come back for another crack at it next year.